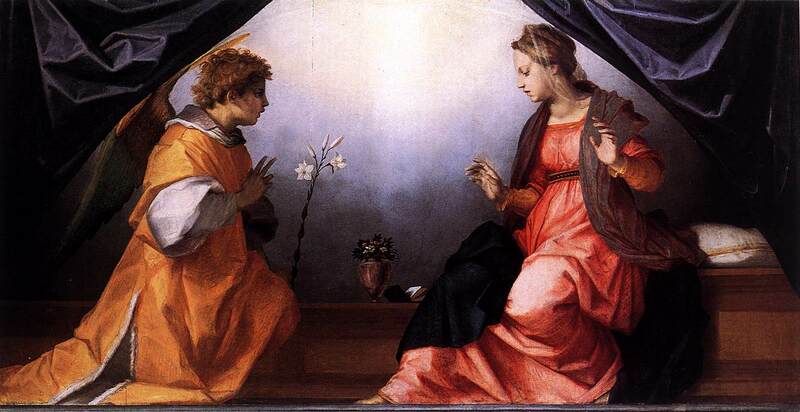 In the liturgical year, the conception of Jesus in the womb of the Virgin Mary is celebrated on March 25, the feast of the Annunciation of the Lord. Nine months later, on December 25, we celebrate the birth of Jesus in Bethlehem. The baby conceived on March 25 is the same baby born on December 25. His name is Jesus from the first moment of his conception, as we all know. "Children have the right to be conceived, ... brought into the world and brought up within marriage. In societies with a noble tradition of defending the rights of all their members, one would expect this fundamental right of children to be given priority over any supposed right of adults to impose on them alternative models of family life and certainly over any supposed right to abortion. Since the family is 'the first and indispensable teacher of peace', the most reliable promoter of social cohesion and the best school of the virtues of good citizenship, it is in the interests of all, and especially of governments, to defend and promote stable family life".